I, like many of you, came to Freemasonry in the hopes of finding answers to some of life’s biggest questions: why am I here, how can I be a better man, who am I really? 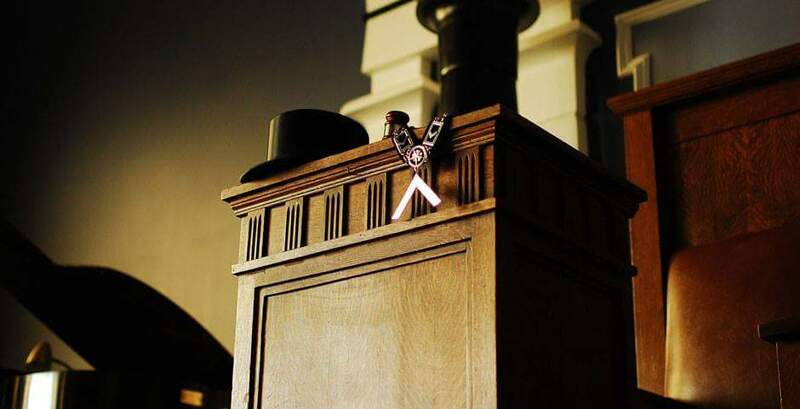 In retrospect, that was rather unfair of me, to hang the most difficult questions around the neck of any organization, however from the outside it appeared that Freemasonry had all of the answers I was looking for. In case you didn’t read the title (and you really should, we spend a LOT of work on those titles), Freemasonry didn’t give me the answers I was looking for. 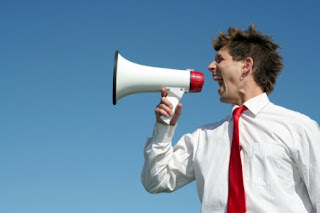 Now, put away your pitchforks and torches; I can already hear the grumpy Past Master chorus of “You get out of it what you put into it.” and believe me, I know every verse to that song. Hear me out to the end of the article, and then you can lynch me if you still feel so inclined (authors are notoriously easy to catch). Freemasonry gave me more questions than it has ever answered, but more importantly it has given me better questions to ask. Freemasonry didn’t tell me why I was put on this earth, but it did make me ask what I can do with the time that I was given to make the largest impact on the world. What a fantastic question to ask! Instead of focusing on a selfish question, it redirected me to see how I could make the world a better place. Freemasonry still hasn’t told me how to be a better man, and I highly doubt it ever will. Instead, it has put me in the close vicinity of better men, and made me ask what they are doing differently, what aspects of that can I copy, and what does it really mean to be a better man. It has shown me examples to strive to emulate, and more importantly it has helped me refined my question to the point that I could answer it for myself. Freemasonry definitely hasn’t told me who I am; in fact, one of the very first questions it asked me is “Who are you that comes to my door?” Instead of answering that question, it has made me ask a much more important question: Who do I want to be? What I’ve learned is that I, like many of you, came to Freemasonry with a false assumption: that any institution can answer the questions that we have. If you’re really lucky, maybe Freemasonry can help you to learn to ask the right questions too. I've seen it often — a candidate enters the Lodge room to receive his Fellowcraft or Master Mason degree. In each, the Senior Deacon leads the candidate around the room, stopping at stations for an interrogation. The officers at those stations ask if the candidate has made suitable proficiency in the preceding degree. "He has," replies the Senior Deacon… as he shakes his head "no." Muffled snickering from around the room usually follows. You see, about 15 years ago my jurisdiction — Missouri — dropped the requirement for proficiencies. Many of our Brothers considered that decision to be the worst thing that had happened in our state since the Pony Express went belly up; and it's not exactly breaking news that the debate continues — those Senior Deacons aren't shaking their heads for nothing. I recall receiving the pamphlet with the proficiencies when I became an Entered Apprentice. (Yes, in Missouri they're written down, in code, but still a practice some consider heretical.) Discovering I had to memorize the material gave the word "daunting" new meaning. Somehow, though, I "manned-up" and learned them for all three degrees. Having gone through the experience I consider it one of the highlights of my Masonic journey. I spent time with my mentor who not only took me through the rote memorization process, but also explained things along the way. At the end, I felt a great sense of accomplishment. I also found all that memory work paved the way for learning other parts in the future. Frankly, I wouldn't trade it for anything. I'm still not sure, however, where I fall in the debate we're still having 15 years after the proficiencies went away. I think there is a feeling that the lack of proficiencies increases membership; or maybe a better way of putting that is having proficiencies might scare some men away. I have to say, in all those years we haven't had them, I've seen men come through who are some of the finest Brothers I know. We wouldn't want to do without them. But would they have joined anyway? In the end, I probably fall somewhere in the middle of the road. I really think it should take more of a commitment to join the fraternity than it does, say, to become a member of your local Public TV station. We should require new Brothers to demonstrate at least a knowledge of signs, passwords and maybe even learn the obligation. Going through some old Missouri records recently I noticed one more interesting fact to consider — historically, there were a lot of Brothers who were initiated, passed and raised in a matter of days — sometimes, in fact, on the same day. Meriwether Lewis, for example, was initiated on January 28, 1797, and received his Second and Third Degrees on the following evening. Obviously, he did not learn "suitable proficiencies" in that time span. Lewis and many others who came into the fraternity that way served the Craft well. Don't we become a little more proficient in Freemasonry every day, with every meeting, every experience? Perhaps we should look at proficiency as something other than memorizing a boatload of material. To me, understanding that material is proficiency, and it doesn't come overnight. I wonder what would happen the next time I'm asked if the candidate has obtained suitable proficiency if I responded, "Define proficiency." You're right… maybe not a good idea. Brethren, there is unrest and dissension brewing among us. Brother against brother, peace and harmony being cast aside like yesterday's newspaper. Battle lines have been drawn and most have picked their side and will fight for their side until the bitter end. The shot heard around the Masonic world has been sounded and civil war is at hand! 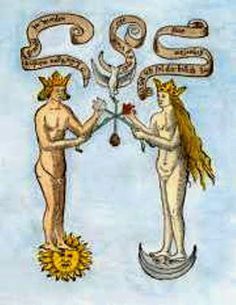 Since I became a Freemason I have heard the constant arguments amongst Brethren on many subjects. Most of these arguments are good natured and have been discussed by members for years: how to wear your ring, the pronunciation of certain words, how to hold your rod in lodge…etc. Most of these make good conversation while eating dinner. But there is one subject that will bring usually good natured brothers close to blows: one day classes. Nothing will throw peace and harmony out the window as the mere thought of participating in a one day class. The pro side says one day classes are a great way to bring in new members who under usual circumstances, couldn't or wouldn't become members of the Fraternity. These young men work odd hours or don't have the time to devote three evenings to go through the degrees “the usual way.” A man can walk into an auditorium in the morning, receive the three degrees of Freemasonry, have lunch, become a thirty second degree Scottish Rite Mason and finish off the day by donning the red fez of the Shriners and go home with the knowledge he now possesses within his heart the mysteries of Masonry and has started his journey to become a better man, just like he was promised. The con side believes that one day classes are just a way for Grand Lodges to rake in new revenue from the dues of these unknowing young men who are blind to the fact that “they’re doing it wrong”, that their Grand lodge is just trying to bolster their membership numbers. “You might as well put in a drive-thru lane at the temple!” has often been heard in the Tyler's room of many lodges throughout the country. 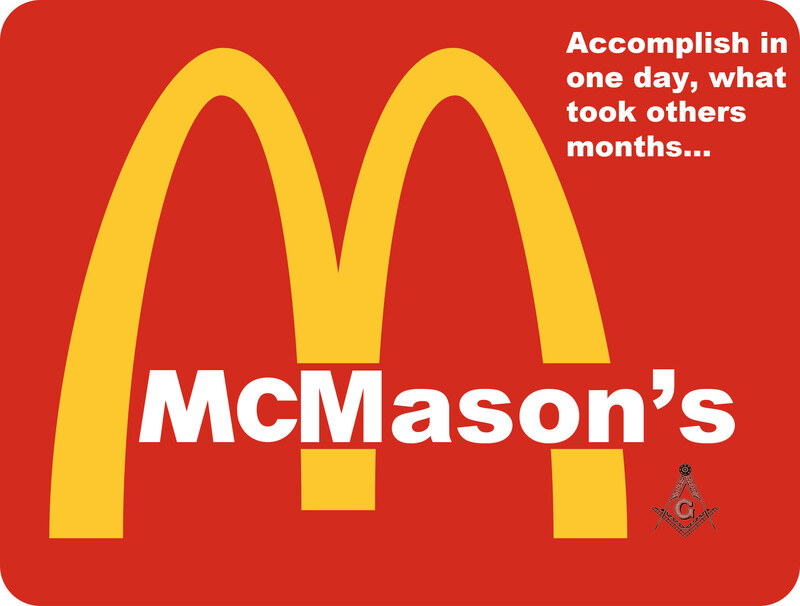 Thus, the term “McMasons” has been created. 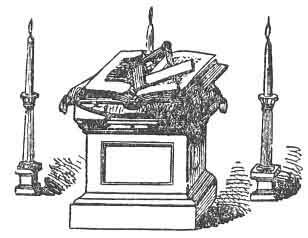 The con side believes a young man who wishes to receive further light must visit the lodge in which he petitioned and progress through the Masonic degrees as many of us have done since time immemorial. The con side also differs from their “pro” counterparts in the opinion that the man should advance through these degrees alone. 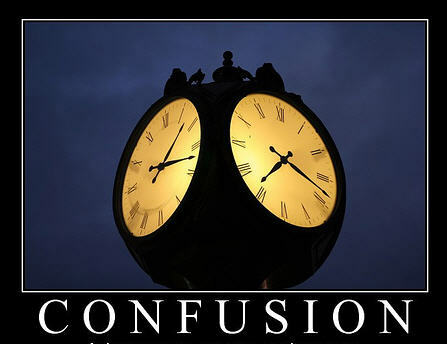 Multiple candidates taking the same degrees should be discouraged, or outright prohibited. There seems to be no common ground between these two warring factions. Sadly, there are casualties in this conflict: innocents caught in the crossfire of these warring factions. They are the ones that suffer the wounds. I have personally seen Brethren enter the lodge room for their first meeting after they were raised to the sublime degree at a one day class, expecting brotherhood and eager to take his first upright step in his Masonic career, only to be told at the point of a bony old finger of a Past Master that he “isn't a real Mason”, and to be called names such as “McMason” or “one-day wonder”, making them feel worthless and unworthy, and then to be called names by the men he was told were his “brothers” and would have his back, who would teach him to be a better man seems outrageous. Chances are, he isn't going to return, and his opinion of the Craft will be forever changed. There is an even greater chance that he will tell other potential Masons how he was treated, and they won’t even bother to knock on the door of your lodge at all. All of this, because the man had the audacity to take his degrees in one day instead of over the course of three evenings. In my personal opinion treating a brother like that, for any reason, is unmasonic. Most of us know that Masonry is a lifelong journey; if this is the case, then why does the way a new Brother is obligated matter? Whether he was on his knees in a small lodge room, or in a large auditorium with the assistance of a mentor, that man repeated the same obligation as you did: that vow to help, aid and assist. I don't remember repeating words such as “unless he was raised in a one day class” in my obligation. Most of us say Masonry needs new members to survive. If we need this influx of new men why are we alienating the ones we are getting? 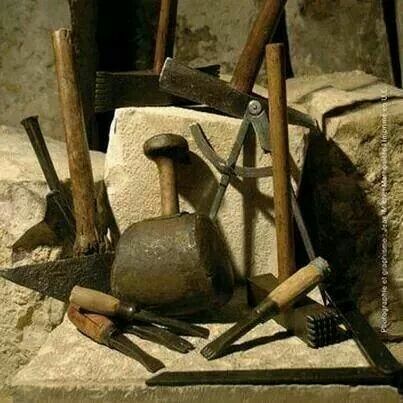 We need to treat all of these men on the level, and help them take their first upright step on their path in Masonry. These men asked to join our fraternity, and went to the trouble of going through our petitioning process. They deserve our respect, and the title of “Brother”. Let's put all of these silly differences behind us. In the end we are Brothers, and deserve to be treated as such. Let's get back to that noble emulation of “he who can best work or best agree”. It's time we turn these swords into trowels and restore peace and harmony to our Gentle Craft. My personal life goal is the motto of the New Zealand poet Katherine Mansfield, ‘I want to be all I am capable of being’. I’m going to tell you how Freemasonry is helping me become the man that I am capable of being. This one might seem weird, but I have my reasons for writing this article. From the age of four to seventeen I attended 1 primary school and 4 different secondary/high schools, not because of juvenile delinquency but because my family emigrated … twice. When I started primary school I was very shy, polite and friendly. Qualities which were in that’s school year were considered to be unusual. Even more unusual for them when I joined the choir and began playing the violin. Basically I didn’t have any friends (don’t worry this story has a happy ending) so I couldn’t develop the social skills a young child should do. At my first high school, all those previous qualities I had meant only one thing to the bullies … GAY. Turns out they were right, but at the age of 12 I didn’t even know what that was. From then on I was defined by my sexuality, “You are gay therefore you are this or that, you can’t hang out with us”. I had to change schools because the physical bullying became too much, though sending me to a private school really didn’t help. At this school, I did start making friends. A group of five girls to be exact. It was logical, they weren’t mean, we had a lot it common and they were always polite. This type of friendship making continued on when I moved to high schools in New Zealand and in Australia. My experience at school made me develop a type of intimidation towards heterosexual men, most I’d met were homophobic and weren’t averse to showing it verbally or physically. In 2015, I joined a fraternity that changed my life and continues to do so. Qualities such as politeness and musical skills aren’t disregarded but embraced. If I was attacked in a homophobic manner, the men around me wouldn’t join in, they’d defend me. If I’d told myself this 10 years ago I wouldn’t have believed it. It took time after I first joined, but I started visiting lodges and interacted with good men. I feel as though my social skills are developing more and more. I’m not afraid, I don’t feel anxiety talking to men anymore, I feel like I can be one of the lads and have a good laugh during the festive board. This is also affecting my life outside the lodge with my work and studies. I know for other gay masons, their stories aren’t as positive as mine and their stories should be told as well. I’ve written this article to show how freemasonry has helped myself as a gay man and to give an example of how Freemasonry can affect a man in ways people might not have thought of. For me however, Freemasonry has accepted me for the man I am and is helping me to become the better man that I am capable of being. To the brothers pictured up above, my mother lodge, my affiliate lodge, Queensland Freemasonry and international brethren I have just one thing to say …. Thank you. Bro. Wayne Greenley is member of Mount Pleasant Lodge No. 361 and research lodge Barron Barnett Lodge No 146 both holding under the United Grand Lodge of Queensland. Currently he is studying a Bachelor of Laws (Honours) and a Bachelor of Business at QUT. In his spare time he likes to read, listen to music and research the Craft. He is looking forward to joining other orders when he’s permitted to in the next year and also to soon begin his journey through the progression of officers starting off with the Inner Guard. I've said it many times before. I was telling somebody the other night that I think one of the great strengths of Freemasonry is that a.) it gives us the opportunity to use skills we wouldn't normally have the opportunity to use, b.) develop skills we wouldn't normally use, c.) use skills we already possess to greater effect, and d.) have the opportunity to improve ourselves as we work together towards making the world a better place. I went into Freemasonry with well honed skills in leadership, management and organization which I use in a variety of ways. From Masonry I've gained skills in writing, researching, speaking, networking, and fundraising--as well as some refinements in how I conduct myself and present myself (it should be obvious I've got a lot more work to do there). And I've been given the opportunity to build on a use some of the skills I have in art in music. This piece was original posted on Todd E. Creason's From Labor To Refreshment blog. Recently, I was in the unfortunate position of reading a negative Facebook comment from a formerly active brother of our lodge, and it has been bothering me for nearly two weeks now. The comment, and I’m paraphrasing here, said that he didn’t understand the appeal of Freemasonry; he had joined to find friendship and brotherhood, and instead found dull business meetings and endless ritual practices. In time, he grew more and more disenchanted with what he saw, and so he quit coming. 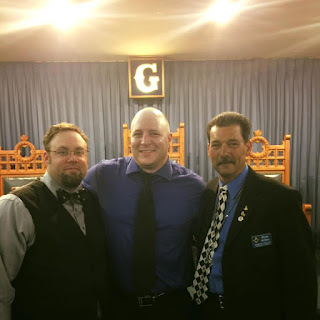 Now, just a little background: this brother had joined our lodge when I was still basically new, and very excited about everything Masonry had to offer. (As opposed to today, when I am still basically new, and very excited about everything Masonry has to offer.) At the time, my job allowed me quite a bit of freedom to take a few hours during the day to meet with brothers for lunch, or coffee, and to sit and talk and soak in all the wisdom I could. A few times, I met with this specific brother, and I still treasure the things I was able to learn from him. As I said, his comment has been bothering me since I first read it, and one of the luxuries afforded to me as a Midnight Freemason (aside from the high pay and excellent benefits package) is that I can answer statements like that, and while he may never read it, I’ve at least had the chance to say it, and it’s a weight taken off my chest. My brother, I’m sorry to say that you missed the whole point. Those thing that you found to be onerous, I find to be a never-ending source of joy and inspiration in my life. I don’t think that any reader here will be surprised to learn that business meetings are, generally speaking, boring. They are a necessary evil that allows us to continue to function; they are the secular world invading the sacred space, however if we don’t pay our bills, we no longer have an organization. In a perfect world, our business meetings could be exceptionally short affairs, where we meet simply to pay the bills, perhaps give some money to charity, and then adjourn to the library to discuss loftier ideals and improve our inner selves. In our imperfect reality, certain rules have to be followed so that those with mercenary motives cannot infiltrate our society and tear us apart from the inside. Things such as keeping and reading the minutes, the report of the Treasurer, and committee reports all help protect us. While they are not exciting or fun, they are so vitally important that we should treat them with the proper respect they deserve. Ritual practice, while not the most enjoyable time for most people, is what allows us to continue to perform our initiation rituals at the peak level that our new candidates deserve. It forces us to focus on the impression we give to our candidates, and find ways to improve that so that they, in turn, can carry us into the future. I once said that true Masonry doesn’t happen in the lodge room, and I still absolutely believe this to be true, however I also have to acknowledge the fact that Masonry doesn’t happen WITHOUT the lodge room. Without our distinctive rituals, we are no different from any of the animal lodges (the Elks, the Eagles, etc) that are struggling to keep their doors open. Of course, these “boring” parts of Masonry generally don’t exist in a vacuum. Before our meetings and our practices we eat, and around the dinner tables true friendships are formed, and our bonds of brotherhood are strengthened. Our dining hall rings with laughter, with a free exchange of ideas, with love and caring for each other, and for our families. Those things you believed were lacking were right there, available to you, and all it cost was a little bit of your time. I’m now a Hoosier. We’ve been in the process of moving to Indiana for over a month now, with no clear end in sight, but the kids are registered for school, the animals have adjusted, our jobs proceed, and, despite frequent trips back to Illinois to deal with the giant house we haven’t sold yet, it all feels like home here. With one exception: in all the relentless business of the move, I haven’t done anything Masonic in over a month. Masonry took up a good part of my life in Illinois, and it was no mere habit, but the conscious choice to involve myself in things. But habitual attendance at meetings mattered. . Our stated meeting was the foundation of everything I did, and I ran in smooth tracks between my house and my lodge. And now, with my lodge three hours drive away, I just can’t go. And I find myself busy and scattered, with ever more things demanding my time and attention. I know where the local lodge is and I know when the stated meeting is, but I’ve just been too occupied with other necessary things to get there. And so I’ve discovered that it’s easy to fall out of the habit of going to lodge. It will take effort to go back, as I’m not on any email lists, I don’t know when degrees occur, and my next real opportunity to got to a stated meeting will come in September. And here’s the problem with that: all it takes is a few missed meetings and inertia takes over. As I got into the habit of going to lodge, I could just as easily get into the habit of not going. So I’ve got the next stated meeting of Franklin Lodge No. 107 marked on my calendar, with reminders set to text me every day for a good week in advance. Just as it took an act of will to petition for my degrees, it will take an act of will to go to a new lodge amidst the chaos of moving, and to keep going until it once again takes on the force of habit. Our force of nature must be economized by the realization of our own mortality as represented by the 24 inch gauge. The 24 inch gauge is the passive tool by which we measure and shape who we wish to be through the process of individuation. When we realize our time is limited and we are not as special as we would like to believe, we are no longer blinded by the ego and can dedicate ourselves toward achieving existential meaning through our personal growth. Our sense of purpose must too be regulated toward the goal of individualization which leads to psychological harmony. So together these working tools give us practical concepts to balance out actions through the understanding of the mortality of the flesh. This is my understanding for why the Entered Apprentice degree is associated with the concept of beauty in the south. At the meridian height of the sun we realize the fullest potential within our own sense of being. As an apprentice you will climb from the pit of darkness of the material self towards the beauty of self-understanding. As the Fellowcraft you ascend the staircase toward intellectual enlightenment by mastering the liberal arts and sciences. As a Master mason finally balancing the square and compass you face true death of the ego, and once raised a True Master of yourself. Freemasonry is creedless, its brothers bow only to truth as supreme light, regardless of the light bearer. No greater truth exists beyond that of universal Brotherhood building the Temple to God on the foundation of faith, hope, and charity. Note from the editor: When I sat at the secretaries desk at a stated meeting a few months ago, I looked out over the attendees. I looked out to see a few new faces, men who had't been to the lodge in years. It was pretty awesome. We sent out Masonic Anniversary cards from the lodge, celebrating the raising dates of our members in a particular month. Some of these Brothers show up, others send a note back and most don't respond. But this night was different. A few "new to me" faces were among the craftsman. At a point we started having discussion. The Master of the lodge talked about the importance of Masonic Manners. Dress, decorum, when to stand and when to sit, how to address the lodge etc. It was at this point one of our newest Master Masons stood up, Bro. Ben Short. Ben decided it was time to speak up. Looking out at the bored faces as the master was trying to explain some things, Ben must have decided that it was time to wake some of these guys up. Ben essentially delivered a speech which I wish I had recorded. It was heartfelt, unrehearsed, serious, thought provoking and yes, abrasive. I remember the Master looking over at me as if to say "...should I gavel Ben down?" I pretended not to see the look and instead looked on as Ben made me proud to be a Mason. I didn't mentor Ben, I didn't help him get through the degrees. He owes that to his uncle, a Past Master and all around swell guy. Below is "almost" what Ben said that night. You see, after the lodge closed that night, I said "Ben, go home and write it down. Do it before you forget." He did, and this is pretty close. I hope you enjoy and I hope you find it inspirational. Brothers I am a new Mason, not even a year has passed since I was raised which gives me a unique perspective but not an unfounded one. I’m still enjoying my honeymoon period in masonry and for the most part it's actually very romantic as I experience things, like a child on his first day of school. I’m eager to learn and excited for my new friends and teachers that I'll meet and get to know. But not unlike that child, the honeymoon is fading and reality and complexity is setting in. I’m slowly starting to realize that not everything I was told about Masonry is true. Before I even petitioned I took serious considerations to becoming a Mason. My grandfather was one and my uncle is currently a member and I had always been curious about it. In my life I had a lot of serious ambitions for changing the world. I devoted many hours into community service and outreach, preaching about helping thy fellow man and doing everything I could to organize groups with the same ambitions. With many failures with organizing such groups I was asked to look in to a club or organization which already had an establishment and that maybe my frustrations of trying to keep a foundation firm and growing would be resolved. So I naturally looked at Freemasonry and what it was about and what it meant to be a Mason. From the beginning I was enchanted with the thought of being a part of not just a group or a club but a brotherhood of men who had a long and interesting history and deep roots in charity and making good men better. I thought to myself that this is exactly what I wanted. This is where I was always meant to be, and to think it was always under my nose. What more could you ask for in a fateful sign? As the old saying goes “...be careful what you ask for.” I got the last and most prominent motivation into becoming a mason when I received the news that for the first time, I was going to become a father of a boy. I wanted to start leading a life fit for someone worthy enough to teach and lead a child into becoming a man. I wanted my son to see not just me as an example, but also the men I surrounded myself with. Every step I take in Freemasonry, I take it seriously and consider them all to be a life changing moments. Every degree passed feels like graduation for me and with every degree I participate in, I’m excited for the candidate. I also see a lot of things done that I was told are not the way of Freemasonry. I see a lot of people not taking it as seriously as I do. So I’m left to ask myself, "Am I the fool or are they?" Are my aspirations childish? Am I dreaming too big? Every time I look at my now 18 month old son the answer is "NO!" I don’t care what others think, I don’t care if I’m the minority in my thinking, I don’t care if I’m laughed at or scoffed at, I set out to change this world and that’s what I’m going to do and starting here at home and in my lodge. I’m going to make the stories true, I’m going to make that square and compass on my ring mean something even more. I want it to mean something to the rest of the world. You can still have your conspiracy theories and rumors about Freemasonry but I want the majority to look at those symbols and recognize it as it should be. A fraternity of men who dared to be different and driven by the determination of their ideals and beliefs, driven by passion and united as brothers. This is why I became a Mason, this is what I want my son to see and become one as well. I want him to see how proud I am to be a Mason and that it will be so evident for him in what that means. At some point in our children's lives they will look at the life we handed them, I don’t just want to build something good for me, but great for the future of all. And we sure as heck don’t get there by focusing on things that don’t matter, like one word missed in a catechism or there better be food when I come to lodge or how long a stated meeting lasts. I will come dressed for business because I mean business. I will still get goosebumps when I hear the Paul Revere Charge. I will make a serious and conscious effort to not just be present at my lodge but to be a staple and an asset to it. Honor is not just something that belongs in a slogan or a meme on Facebook, it belongs in our hearts and minds. From the day I submitted my petition this became a way of life for me and I know in my heart that if I or any Mason treats it differently, it will not be a participation in, or the growth of Freemasonry, but the death of it. Is this not what we said Freemasonry is? Is this not what we sought out to do? Why Freemasonry and not a Moose lodge or Rotary club? I once received some good advice from a brother who hit it right on the money when he said “ It’s not so much what you have done that means anything so much as what you’re going to do”. The night Ben received his 3rd˚. Bro. Ben Short is a Master Mason out of Waukegan Lodge No. 78 in Waukegan Illinois, where he is an active member serving on various committees and occasionally filling in for the secretary. He is the proud father of a son and works full time for the community at large. So once in a while, we forget. We forget lines, we forget names, we forget ritual. In my case, you may have noticed, I forgot to schedule a piece for last Friday. 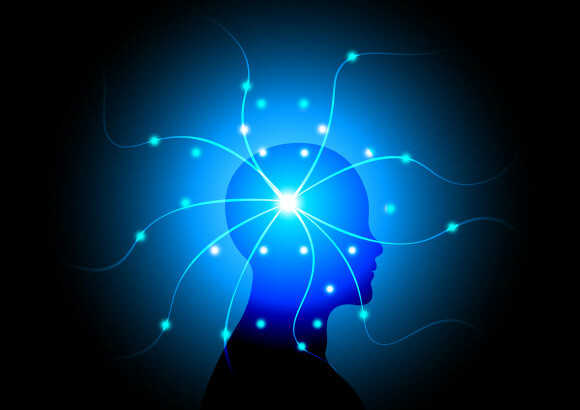 Being a Freemason, an active one, is something that takes a lot of cognitive discipline and sometimes, we falter. I felt horrible about not getting a piece up this last Friday but I know that stuff happens, not my first choice of words when describing the situation. But we can use this as a slight reminder that whenever we forget something, the best course of action is usually to just pick up where you left off and in some cases, own up to your short comings. As men and as Masons, we do this already...usually. In ritual, we just keep going and don't miss a beat, the local lodge lecture expert approaching you after to tell you all the words you missed, or perhaps the turns you did wrong. It's okay, Brothers. Take it in stride. Enjoy your Sunday! 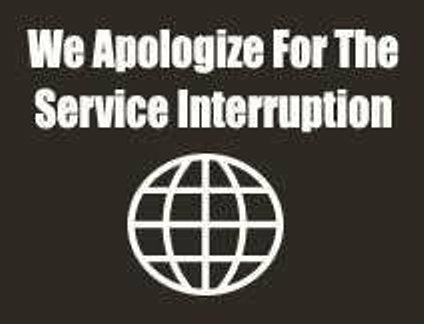 We'll be back tomorrow morning. Anyone who knows me, knows I’m a big book worm, in fact I’m typing this article out in a Library. I found out about Freemasonry through reading books. Not everyone’s a bookworm such as myself and for some, television is the first exposure people will have with the world of Freemasonry. This is an article which identifies some television shows and an analysis as to how we are portrayed. I’m just using six television shows I’m familiar with. Whilst researching I found that the website of the Grand Lodge of British Colombia and Yukon has also created their own list of television references. I haven’t tried to plagiarise their list and I believe I have one or two shows which aren’t on their list. They are more than welcome to add from this list to their own. Ok so we’re all familiar with the infamous episode of the Simpsons (season 6 episode 12) which features the secret society the Stonecutters, so I’m not going to say much about. I may critically analyse the episode in another article later down the track. I do want to mention that, however it may have positively or negatively been received by Freemasons back in 1995, in the present day it is generally accepted in the wide scope of the masonic society. It’s laughed at, parodied and comically embraced. The picture on the right is of two prominent Freemasons in Queensland. Dressed up for a charitable rally in Australia known as the "Shitbox Rally". A rally in which teams of two, buy a cheap second hand cars and drive them a long distance. These two brothers named their team the Stonecutters and were able to raise money for charity. The car even had a large Square and Compass on the front. This is just one example of how Freemasons have comically embraced the Stonecutters. You can donate to their charity by clicking HERE. Besides how its effects Freemasonry, the general public appears to strongly associate the Stonecutters with Freemasons, indeed on a few occasions when I’ve told someone I’m a freemason they started singing “We do”. A somewhat partial representation of what our society is, especially when Homer decides to direct the Stonecutters to do good. It’s not a 100% correct though, we’re not always getting drunk and singing at the festive board …… Right? Well maybe the Ye Antient Order of Noble Corks do. My second favourite murder detective, right after Hercule Poirot. Season 4 has a whole episode dedicated to Freemasonry and we not portrayed as the antagonists. Episode 4 “Masonic Mysteries” begins with Morse rehearsing in a production of ‘The Magic Flute’ when his love interest is murdered. Morse is considered a potential suspect and as such isn’t permitted to investigate her murder. He is replaced by Chief Inspector Bottomley (a Freemason) whom Morse dislikes, especially when his Detective Sergeant is given to him. Morse: Better start rolling up your trouser leg Lewis, you’ll find Chief Inspector Bottomley a Grand Master, much grander than me. Lewis: Oh, like a game of chess do you sir? Through a series of events, Morse becomes paranoid and believes the Masons are trying to frame him for her murder. In the end however it turns out an old nemesis of Morse (played by Ian McDiamid) was attempting to frame and humiliate Morse for revenge and used Freemasonry as a cover. 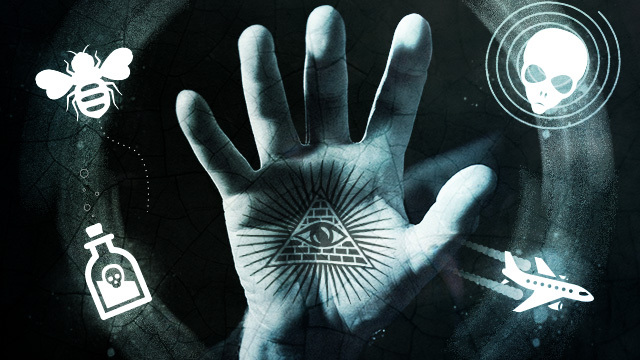 This episode was shown in 1990 and in some ways shows the journey a person goes through when descending into a paranoid fear of the conspiracy revolving around Freemasonry. Although in Morse’s case he had genuine reason to believe the Masons were after him. Morse believes he’s being initiated through a ritual of Fire and Water as described in the Opera. A password to a computer is Pamina, the heroin of the show. The famous Queen of the Night song “Der Hölle Rache kocht in meinem Herzen” is played loudly in Morse’s house without his knowing. The music at the beginning of the episode is the Overture of Opera. When Lewis find evidence Morse is innocent of a crime, Tamino song “Wie stark ist nicht dein Zauberton” is played. There are probably other references in there as well that a more learned Brother who is familiar with this German Opera will pick up on. Though this episode does at points put Freemasonry in a negative view with hints of stalking and murder, they are all debunked when its proven that Freemasons are not involved at all. Although Morse does prove one Mason a fool. Morse pretends to be a Brother with a handshake, when the police officer/brother believes him he laughingly responds “If you people seriously think your childish handshake is a secret, I wouldn’t put any of you on security”. In my opinion if a person who was ignorant to Freemasonry watched this episode, they would not be over all, put off with the fraternity and may potentially end with a positive view. One of the top British sitcoms from the 1990’s. 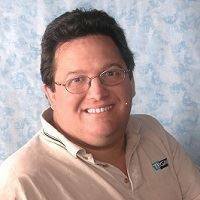 Season 1 Episode 5 introduces the, let’s say rambunctious, neighbour Dorian Green’s husband Marcus. Dorian invites Tracey (one of the main characters) to a lady’s night at a masonic lodge. Though later on it appears to a festive board type dinner before an installation as Marcus says he can’t leave the dinner as he is the incoming master of the lodge and it’s the biggest night of his life. It’s nice a television show portray the “normality” of what happens outside a lodge. Meaning not a society of secrets or a wacky conspiracy story, but more of a social group which really isn’t seen much in any medium. Brother Marcus Green, however is a poor representation of what a Freemason is. When his wife stated she was unwell, he didn’t care and is more concerned about his speech. He refused to take her home, in real life that type of behaviour would not be tolerated, placing the lodge before family. Also later on, Marcus tries to make the moves on Tracey. Hopefully when viewers watch this type of conduct being solely isolated to the character Marcus and not with the fraternity itself. See that certificate on the wall? This was seen on Season 1 Episode 10 “Death my Miss Adventure” on the wall of Detective Jack Robinson’s office. Whether the certificate is placed there intentionally to prove he’s a Freemason or if the props people didn’t know what they’d placed on a wall is unclear. 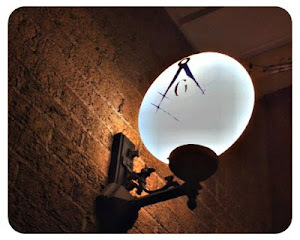 It is nice however to see a little mini Masonic Easter egg that only we might spot. Two of Britain’s finest comedians. I don’t know which episode of their show it comes from, however I implore you all to watch the video on youtube. This skit is a full parody of a masonic initiation. “Do you want to be a handy man?” Watch it and you’ll know it had to be a Freemason who wrote it, or at least had some input. I’d suggest you watch it in a place you can laugh, unlike me who was in the library. Finally we come to Brother Boyce from Only Fools and Horses, who in my opinion is one of the worst characters to portray a Freemason. In Season 5 Episode 10 “Dates”, Boyce states "I am not a Buffalo, I am a pucker (meaning proper) Mason, secret handshakes, initiation ceremonies, the works … it is a great honour to be chosen it is not something you turn down likely. It’s changed my life, I’m involved in a lot of charity work these days helping the local needy and under privileged. It’s got its good side as well of course. Us masons vow to help each other in business whenever humanly possible". I hope you will all agree with me that that last sentence is the complete opposite of what being a Freemason is. In this episode, Freemasonry is basically portrayed as a white collar business society, that’s all about doing business favours for other brothers. The main character Del petitions later on to become a Freemason just for personal gain, to be given a favour from one member. Later on, Del was blackballed by practically every member of lodge. Thought a comical character, Boyce is sometimes portrayed a fraudulent, money scheming and a cheating antagonist at times. You can be sure I would not sit in a lodge next to a guy like Boyce. This episode is nearly 28 years old, so it doesn’t really pose a threat to the integrity of Freemasonry. Back in 1988 however I guess it might. A man watching this would may have believed Freemasonry was all about personal gain, not about brotherly love, relief and truth. This show, though one of the greatest English classics, does not correctly portray what being a Freemason is.